Stanczyk loves this story. That the discoverer formerly known as Christopher Columbus (who really should be known by his Portuguese name: Cristobal Colon) may be Polish-Lithuanian royalty. Stanczyk has written a few times on this Columbus / Wladyslaw III genealogy-genetics-history riddle. The Don Quixote of this tale is Manuel Rosa (an an information technology analyst and amateur historian). Mr. Rosa’s claims of the Polish (or more properly Lithuanian, as in Jagiellonian) Wladyslaw III lineage date back to November 2010. 1. 02-December-2010 – Christopher Columbus Discovers … He Is POLISH! Plus a few mentions: 2011, & 2012 at the start of Polish Heritage Month (each October). Well here is the latest update, from “the Lithuania Tribune“. You can read the lengthy article which is most informative. Rosa has published two books (one in Spanish and one in Polish). NO English version yet. Cristobal Colon’s noble wife: Filipa Moniz was one of the twelve elite “donnas” of the Portuguese Military Order of Santiago. Prof. José Lorente’s DNA studies prove that the discoverer Cristóbal Colón’s DNA did not match any of 477 Colombo families from the Genoa area. The author laments (“… it is lamentable that, up until now, there is little or no debate in America or Lithuania to either accept or contradict”) that only Portuguese and Polish academics have currently debated this topic. Well then Rosa needs to have published/translated the book in Lithuanian and English if he wishes for further debate. Are there any historians out there? Can anyone refute or supply proof of the above factual claims? Columbus letters and their language should be easy to establish. What about these other people named: General[Roman] Colonius, Portuguese nobles related to Filipa Moniz Perestrelo, or Prince Georges Paleologue de Bissipat ? Come on European Historians help out this poor jester with some factual links or books/documents — so much is online these days. The next Manuel Rosa appearance is: April 6, 2013, where Manuel Rosa will present a lecture at Boalsburg’s Columbus Chapel, (http://www.boalmuseum.com/columbus-lecture.html) where more evidence will be presented, in Boalsburg, PA which is North-West of Harrisburg (contact: contact 814-466-9266 or office@boalmuseum.com). I’d love to have this story proven true or false. It is time for the sensationalism to end. Did National Geo ever televise this story as reported earlier? 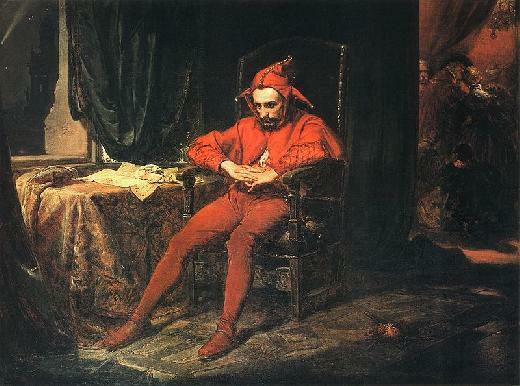 This jester never saw it. What happened with the Colon DNA being compared to Wladyslaw III descendants? So far we only have that he is not related to Colombos who are Genoese. But since he had Roman heritage, I presume he has some Italian DNA. What about the Slavic DNA? Those pesky Slavic DNA markers are pretty different from Italian DNA markers. I am hoping we have Y-Chromosome DNA testing which should show Slavic markers and MT DNA testing which should show Italian/Portuguese markers. I accept that Cristobal Colon must have had royal blood to marry a noble woman and have such access to European courts. I also accept that a noble man would have had the education that a peasant wool-worker could never have had. I am uncertain about the heraldic symbols. The rest I am unqualified to judge — hence the plea for help. This is a suggested correction to your following phrase: “The Don Quixote of this tale is Manuel Rosa (an an information technology analyst and amateur historian)”- It is true Mr. Rosa is working currently in IT, a position he has held for 4 years at Duke, however he has been a historian for 23 years. It is very misleading to the general public to “label” a historian of 23 years by his employment of the last 4 years……. Thank you for your correction. I was following/using the info from the referenced article. Your comment is approved and you argue for Mr Rosa’s reputation admirably.